There are problems that can be solved by your own efforts. Outside help may then be pronounced unnecessary. But chronic illness is a different story; not only does it demand support from family, but it also requires assistance from an expert. Because of the relationship you share, there will always be the desire to help improve your elder’s quality of living. It is important to acknowledge though that you are only human; you are not exempted from feelings of extreme exhaustion. There is a need for you to be refreshed every now and then – a hunger that’s hardly fed when you are your loved one’s sole caregiver seven days a week, 24 hours a day. A suiting resolve for this would be hiring a professional caregiver, or better yet, calling for respite care services. Medications may not work properly especially when you disregard the vital role of medical professionals. Without their wisdom, you might commit the error of giving wrong dosages, mixing up multiple medicines, and other forms of mismanagement. You might even suggest a medication without valid consent. If you aren’t a health expert yourself, it pays to find one who can responsibly monitor your loved one’s medications. There is also a need to take note that non-medical care professionals can only go as far as providing medication reminders. It is the prescribing physician who has the last say about medication intake for the patient. In the hopes of maintaining your elder’s comfort, you can be doing everything eagerly and still fall short because of following the wrong methods. The proper how’s of assisting your loved one during mobility, hygiene practices, exercise, and the likes better be consulted to a healthcare professional first. This way, you become confident in performing all the precautionary measures correctly every time you give your loved one their needed assistance. If you aren’t a health expert, you can be interpreting your loved one’s condition improperly and with no sufficient basis. In effect, you may impose a remedy that’s not going to be fitting to the condition. For situations like this, trusting the doctor’s voice is always the best resort. Professional assistance saves you and your chronically ill elder from a lot of perils that are just waiting to be triggered. If you’re in angst about where to find one, let Heaven Sent Home Support Services vacuum away all your worries! 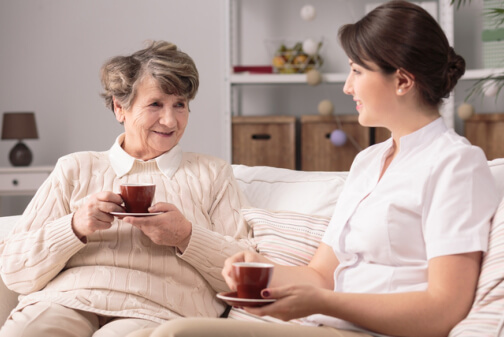 As an unwavering provider of in-home elderly care assistance in Southeast Michigan, we are committed to providing the specific services your elder needs. Our accessible home care services in Oakland Counties Michigan are beneficial to you and your elder! To understand more about the services we offer, feel free to browse www.hshssllc.org. See for yourself how our in-home care services can change the course of your elder’s life! This entry was posted in Home Care and tagged Elderly Care, Healthcare, Home Care, Professional Assistance, Senior Care. Bookmark the permalink.